The shot dipped, swerved and sliced to perfection, hurtling 25 yards to find a square of net in the top corner that the diving goalkeeper’s outstretched glove couldn’t cover. The home crowd rose in frenzied celebration. But the goal scorer simply jogged away, eyes closed, hand covering his smiling mouth in disbelief. He turned and lowered his head in gratitude. This wasn’t merely a goal, it was the end of a three-year nightmare. It had been 1,252 days since Owen Hargreaves, once considered the best midfielder in England, had scored. The hellish time in between was filled with injuries, failed comebacks and, finally, the humiliation of being cast off byManchester United. His once-glittering career seemed doomed. But on this innocuous afternoon in Manchester, during an expected Carling Cup walkover, a long-range goal announced his return, turning this once agonizingly frail star into the most unlikely comeback story. The architect of Hargreaves’s revival is Alex McKechnie. With his white hair, confident gait and Johnny Cash fashion sense, the Glasgow native comes across as a guy who spends his time restoring expensive automobiles, which isn’t that far off. In fact, McKechnie has carved a niche restoring high-priced athletes. The all-star physiotherapist and director of sports science for the Toronto Raptors is a resurrector of careers: Shaq, Steve Nash and Jimmy Connors all swear by him. By the time he was named England Player of the Year after the 2006 World Cup, the holding midfielder was widely recognized as the world’s best at his position. Canadian national team captain Kevin McKenna lauded him as the only player capable of marking Lionel Messi. His reputation was so stout, in fact, that following the 2006 World Cup, and with a hatful of German silverware to his credit — including four Bundesliga titles, three German cups and a Champions League crown — Hargreaves caught the eye of mighty Manchester United. It cost the club £17 million to buy him from Bayern Munich in 2007, but they got a lot more than they bargained for: a player with a host of hidden fragilities. A first comeback ended minutes into a Premier League match against Wolverhampton in November 2010, when a hamstring tear left him limping; a second was called off by a dislocated shoulder. Hargreaves had played just six minutes since 2008. Eventually the years of inactivity and false starts became too much. United stopped trying to salvage its investment and did not offer Hargreaves a contract after the 2010–11 season. He offered to play for free, but manager Sir Alex Ferguson chose to move on. At 30, Hargreaves was left without a future. The videos were intended for a physio in Europe (they were too big to email), but elicited snickers across the soccer world. For Hargreaves, the shame wasn’t in millions seeing him try to work his way back into soccer; it was that he’d been out of the game in the first place. “What he expected was to be able to leave the game under his terms,” McKechnie says. So McKechnie — who, with his stocky frame and an energy that belies his age, looks more like a Las Vegas pit boss than a physiotherapist — introduced Hargreaves to his Core X System, an elastic device that links an athlete’s wrists and thighs together. 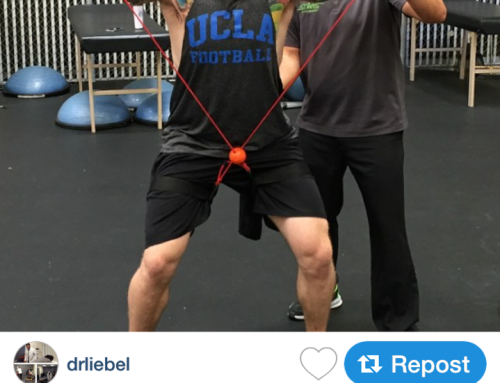 It sounds awkward, but helps stabilize and hold one’s posture during specially tailored workouts. While hanging up his cleats for good was never in the cards, few predicted Hargreaves’s move to City. With few options, the next step seemed to be Major League Soccer — the Vancouver Whitecaps were interested — or a small club with limited funds looking for a name to sell shirts and play mentor. The idea of joining Manchester City was absurd: broken-down players don’t wash up with the world’s richest club. But in Hargreaves, City manager Roberto Mancini saw not only a top player available for free, but a chance to take a jab at his team’s fiercest rival. Crossing lines is old hat to Hargreaves. Choosing to represent England back in 2000 earned him the enmity of supporters of the Canadian national team he abandoned. And he’s proving more than happy to set off old mates. Fresh off his first game, he stirred the pot by accusing his former team of treating him like a “guinea pig” during his injury-plagued United career. Hargreaves aside, the Manchester rivalry is reaching a new fervour. United is the traditional powerhouse, but mega-rich City has built and bought a star-studded team to match, earning a nickname from Ferguson in the process: the “noisy neighbours.” Both are title contenders. It will all come to a head on Oct. 23 in the Manchester derby, a match Hargreaves could feature in. His debut for City in the Carling Cup — and the goal that punctuated it — has brought England’s one-time best player back to the big stage. And, if you ask McKechnie, Hargreaves is back for good. “I have no doubt that Owen Hargreaves will succeed again,” he says. Stepping onto the pitch at Old Trafford would be the perfect next chapter in this improbable comeback. Manchester United was the home of Hargreaves’s injury nightmare; returning there with City could make it the site of his salvation. Follow TFC and the Champions League with Twitter. I will update from training, on match day and whenever news breaks. Awesome product and issue here. I am extremely satisfied with my CORE X SYSTEM ! Thanks so much and I am recommending to all my friends to purchase the CORE X SYSTEM. Please drop me an e-mail with any new workout DVD’s you develop. Magnificent items from you, man. The Core X System is the best, simple workout program I’ve seen or used! I’ll keep coming back for more products. Guarantee everyone would benefit from your product! Woah this product is amazing! Fantastic workout! I use it with all my clients and they all love it because it’s easy and they feel the results right away! 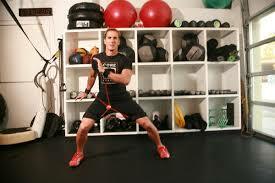 I would recommend the CORE X SYSTEM to all my personal fitness trainer friends. For all those people hunting around for a simple, fun, easy and complete total body workout and fitness program this is it! Everyone can benefit from this product. So glad you were recommended to me! I’ll always use the CORE X SYSTEM with my clients from now on. Everyone should try it. Thanks CORE X SYSTEM! I simply want to say I am very happy since purchasing the CORE X SYSTEM! I use it for 30 minutes 3 times a week and I’ve never gotten a better full body workout! It’s simple to use and the workout is fun and energetic! You actually have a terrific product. 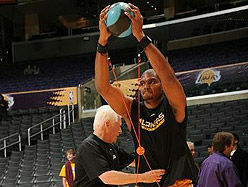 I would recommend the Core X System to everybody, regardless of their age or level of physical fitness. I would tell anyone to order the COREXSYSTEM and see for yourself what it can do for you! My friends see the benefits that I’ve experienced in 5 months and they all say I look physically 10 years younger and fit! I’ll say I was a little skeptical at first because it’s so simple to use. But the workout is complete and I feel toned and like I’ve gotten a complete workout after each use. I’ve been using it 20 to 30 minutes 4 times a week. It’s easy to fit into my schedule, I do it in my home. It’s compact, you can take it with you anywhere, and you don’t have to buy a bunch of other equipment like you do with other fitness and exercise programs that are out there! I’m amazed with the results I’ve gotten from the COREXSYSTEM! ABSOLUTELY no other product out there will give you these results. It’s very gentle on my muscles and joints as well. Thank you COREXSYSTEM!! I”M a Yoga instructor and my clients are always asking me if there is something they can do along with their yoga that is a simple yet complete body workout. I discovered the CORE X SYSTEM through a colleague of mine and ever since I purchased the CORE X SYSTEM and have been using it, I recommend it to all my clients! Outstanding product! Excellent article! I discovered the CORE X SYSTEM through a golf buddy of mine who has been using the CORE X SYSTEM to improve his golf swing. I purchased the CORE X SYSTEM for myself about 3 months ago and I’m not only using it for my golf swing but also in my daily workout routine. WHAT A DIFFERENCE! In golf my accuracy has improved and I’ve added a good 25 to 30 yards in distance with my driver and fairway woods and at least 15 to 20 yards with my irons!! With my workout routine, since using the CORE X SYSTEM I feel stronger and fitter! I’ve lost about 12 pounds too! Thank you CORE X SYSTEM! I’ve been a certified personal fitness trainer now for 12 years. I’ve used all types of fitness programs with my clients. Since being introduced to the Core X System and seeing the results that I personally received, I now ONLY use the Core X System with my clients. I get nothing but positive feedback from my clients regarding the Core X System and the results that they have experienced. No matter what their level of ability, they ALL LOVE IT ! Rather it’s weight lose, strengthening and toning, or rehabing, all my clients have experienced huge results! Thank you Core X System! I’ll never use anything else! I’m extremely pleased! Hello! I’m a Soccer Dad who coaches my sons team. I saw the YouTube videos of Owen Hargreaves training with the CORE X SYSTEM and decided to order one for myself and give it a try. After personally using the CORE X SYSTEM for 2 months I was not only amazed with the noticeable improvement in strength and physical fitness I experienced but also the improvement in agility and coordination. I ordered 10 more units for my sons team and we use it at the beginning of each practice. WHAT AN IMPROVEMENT I’VE SEEN IN ALL OF MY PLAYERS! 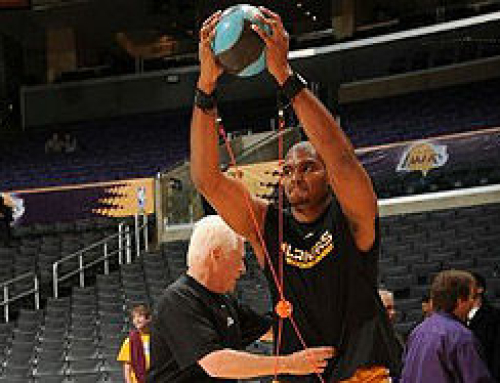 I’d recommend the CORE X SYSTEM to anyone out there coaching at any level! Thanks for the CORE X SYSTEM. I am a health and wellness freak and about 7 months ago I started working out with the CORE X SYSTEM. As well as being a great all around strengthening and fitness workout I get the best Ab workout I’ve ever gotten! It’s like Paul Kariya says in his testimonial….the CORE X SYSTEM is THE BEST abdominal strengthening program out there by far! My Abs look great! I’m always getting compliments on them at the gym. 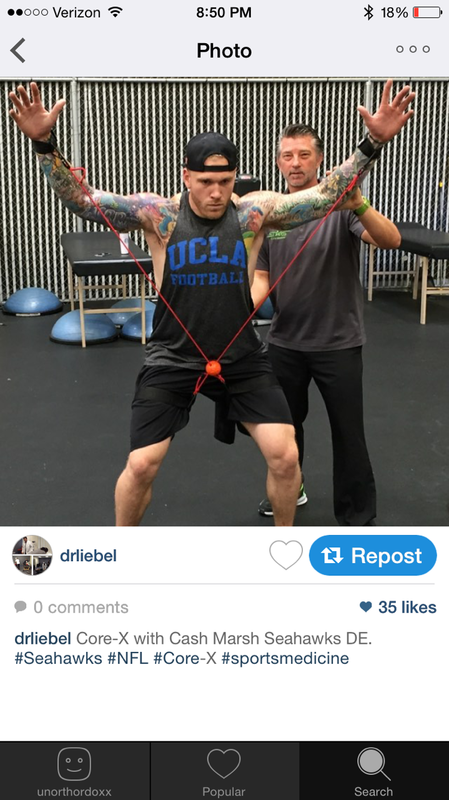 I’m always asked how I got them that way and I always say by using the CORE X SYSTEM. I’m 42 years old and in the best shape of my life thanks to the CORE X SYSTEM. Thanks Guys! Hey my name is Sally and I’m a firm believer in the CORE X SYSTEM. My personal trainer started me using it 3 months ago. I’ve already seen major results! I’ve lost 14 lbs and I am more toned than I have been in 10 years. My husband loves it! He says I’m sexier than ever! Thank you! Like it! I will come to this site to find out more and recommend it to all my customers! Oh my goodness! Impressive workout! I use the Core X System routinely. It has helped me get in great physical shape and most importantly for me helped me get more distance in my golf shots and cut strokes off my score. Thanks!! Remarkable things here. I am so glad I found your product. A fellow trainer recommended you to me and after using your system I’ve purchased 4 more CORE X SYSTEMS. It will work great with my clients. I will recommend the CORE X SYSTEM to all my future clients! My wife and I read the reviews through “Jenny Review on Health and Fitness”, and “SHVOONG World Wide Reviews” on the CORE X SYSTEM and because of their favorable reviews I decided to purchase the CORE X SYSTEM. I agree with them 100%! 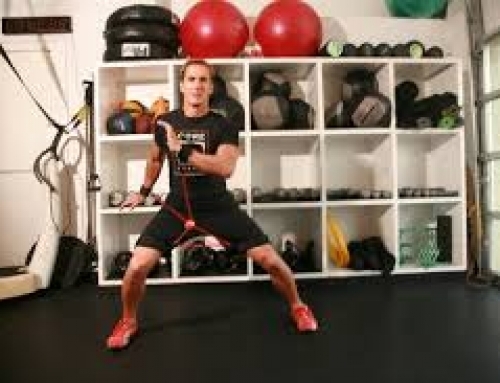 The CORE X SYSTEM is the best home workout equipment and program. I’ve ever used. I’m a health freak and so is my wife. We both have been using the CORE X SYSTEM now for 7 months and have never been in better shape. We are both EXTREMELY pleased with the CORE X SYSTEM and have recommended it to all our friends. After using it you fell toned, fit, and like you got a complete overall body workout in just 30 minutes. Perfect workout for the home or gym and with my busy schedule it’s easy to fit in a workout 3 to 4 times a week. Thank you for the writeup. I follow Owen Hargreaves career and once I saw him working with the CORE X SYSTEM and Alex McKechnie, I decided to purchase a unit. I cannot begin to tell you what improvement I’ve had in coordination skills, endurance, and over strength. I’ve been using the CORE X SYSTEM now for 8 months. I’ve been working out for 15 years and I’ve incorporated it into my regular workout routine for 20 minutes each time and I’ve never gotten such great results! With everything I’ve tried my body has never been as toned as it is now since using the CORE X SYSTEM. Six pack and all! Thank you CORE X SYSTEM, you made me a believer!